My first ever twilight shot! My first ever twilight shot!, originally uploaded by Evan Walters - Project 52. Here it is. My first ever twilight shoot! I think there's a possibility that there is too much sky in the shot, but otherwise I'm pretty happy with this shot. 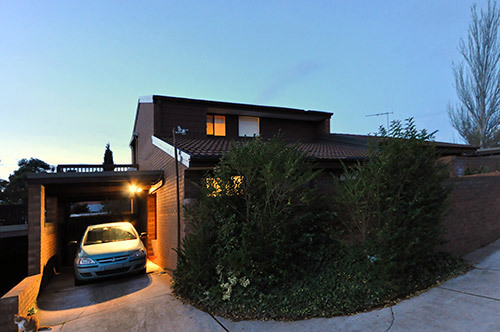 It's dark enough to show the "glow" that we all love at dusk, and light enough to still showcase the homes features.